If it’s raining, I do recommend you to wear black pants. Why? because during rainy days they hide splashes from puddles, they can be rolled up to your ankles if need be, and they can be comfortably tucked into boots. Black always shows elegance and formality which is also appropriate for office attire. 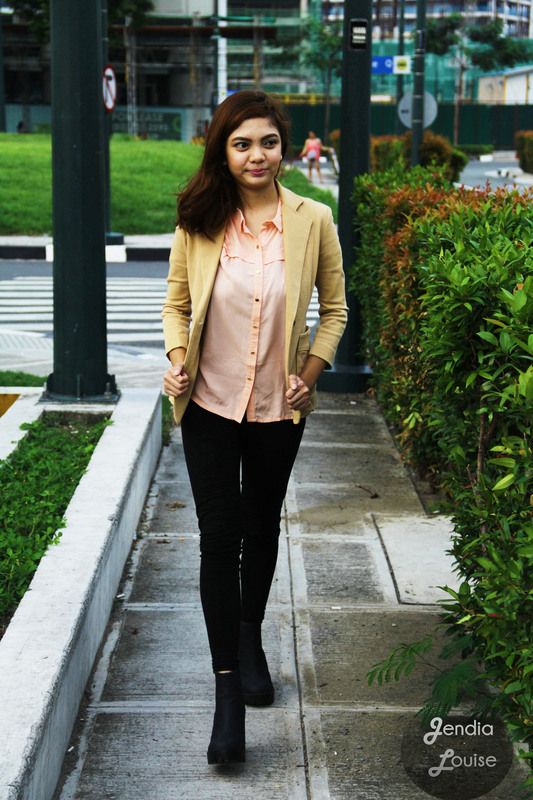 Wear long sleeves or just any top with collar then a blazer (optional) as your outerwear. For the shoes, I recommend a rubber-soled footwear because it grips better in the wet. I decided to wear boots in this outfit because it can never go wrong on rainy days. Try some of these ankle-bootie styles to better transition from rain to shine!